Make both your heart and stomach contented! 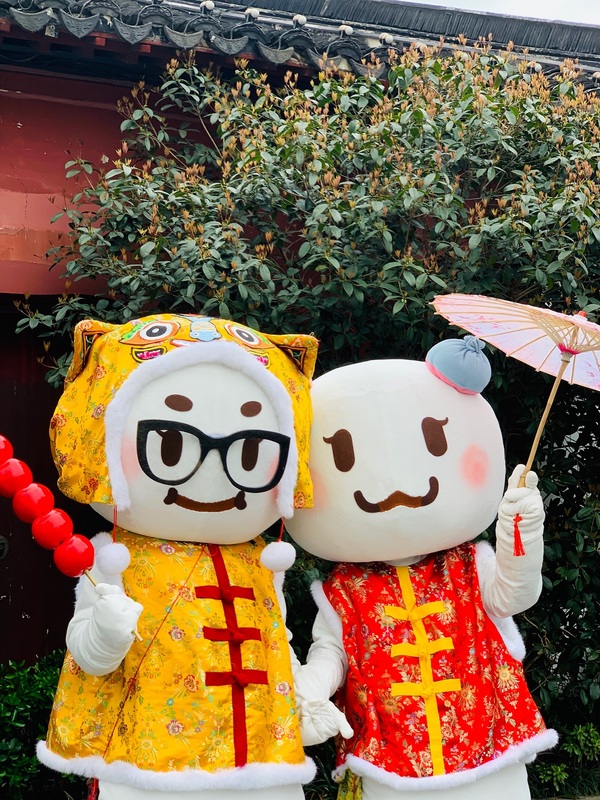 On April 3rd, the heavy brand activity of Jiangsu Province Department of Culture and Tourism Jiangsu Super Fun 2019 gets regression powerfully and the big subject of the 5th season —- “A Fascinating Battle of Snacks” will get online , and Big Face Su will lead to eat every Jiangsu famous snack and lifts foodie carnival throughout the Internet! 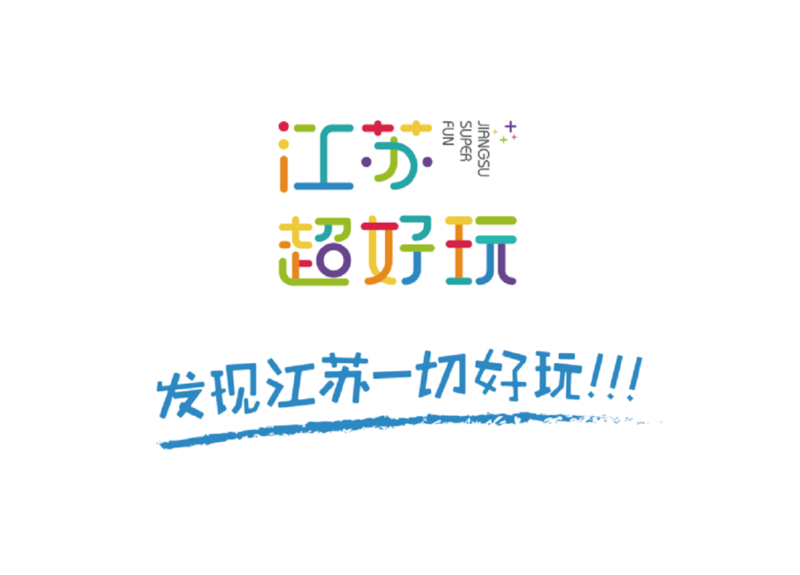 By adhering to the tenet “catch particular amusement points of Jiangsu and output all fun of Jiangsu”, the activity Jiangsu Super Fun opened in January 2018 dug Jiangsu featured resources deeply from multiple dimensions and communicated greatly the lightspot amusement manners of Jiangsu. 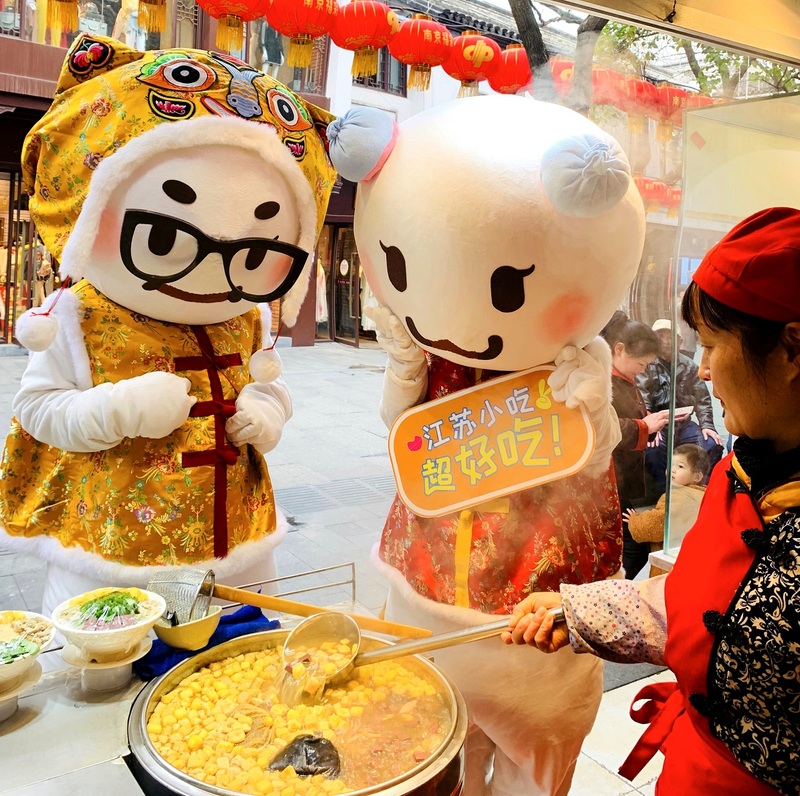 In the past year, the original mascot “Big Face Su”for the activity led to visit 39 featured museums, 15 historical blocks, 15 hundred-year old restaurants and 23 super beautiful hotels in 13 cities of Jiangsu, the subjects for the four activities were widely concerned, “the online + offline + experience” new amusement method and the new creation “the mascot + short video + notepad strategy” made net friends shout “super fun”!Having continued for five seasons, this activity has brought into the reputation and high popularity through the purpose upgrade and content innovation, resulting in continuous expanding of the brand influences. In 2019, the activity Jiangsu Super Fun will be conducted by four sessions, and the first session subject “A Fascinating Battle of Snacks”will get online for food in the “spring of delicate flavour”! Snacks are the “gustatory memory” in the bone of a city, the “taste in mind” missed very much by countless people and reflect most truly the local conditions and customs, scenery and flavor of a place. With a very long history, brilliant culture and gathering of talents, Jiangsu has greatly rich snacks of flavors from all corners of the province; for some thousand years, the famous products, famous shops and famous snacks have been of long standing, full of strong local charm and mellow life vitality. 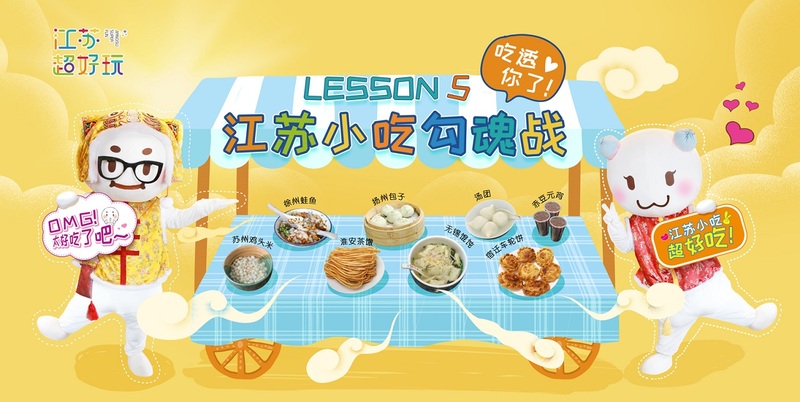 In this session of the activity, Big Face Su will lead to eat every snack in 13 cities all over the province, seek the right taste landmark, the most original and curious Jiangsu famous snacks, present a feast from vision to taste and bring a super amusing “meal variety”. 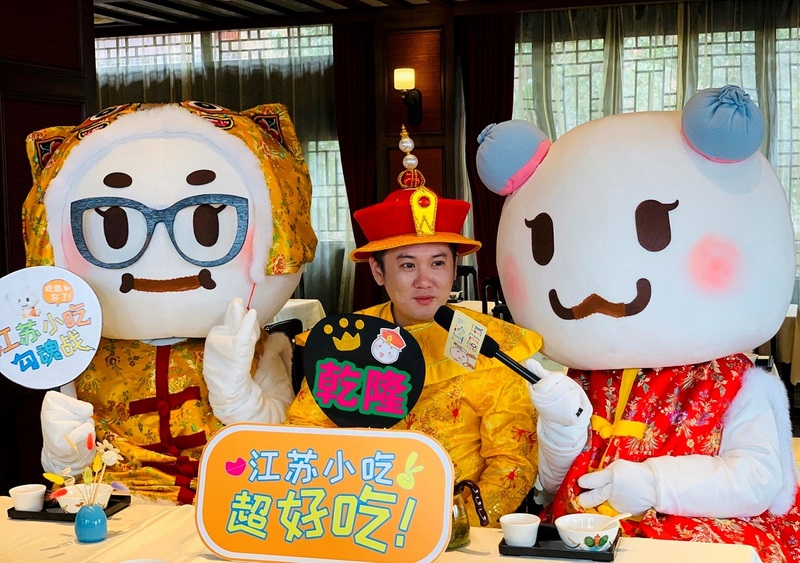 On April 3rd when the activity is opened, Big Face Su will personify as cate minor radar and appear at Nanjing Confucius Temple, and cross the time and space to invite the senior foodie “Emperor Qianlong” and open the eating broadcast tour for this session together and pull open the prelude for the 5th season activity for Jiangsu Super Fun. The first eating stop for the two is to select Jinling Qinhuai snacks of great reputation, the small sweet adzuki bean dumplings and five-color cake at Lianhu Pastry Shop, the duck oil baked flaky pastry and steamed olio buns at Qifangge, the Qinhuai famous snacks at Wanqinglou Restaurant will surely include the favorite duck blood bean vermicelli soup and eggs with chicken embryo inside for old Nanjing people! The fan audience out of the shot just shout “we greatly want to eat” and “we haven’t watched enough”! 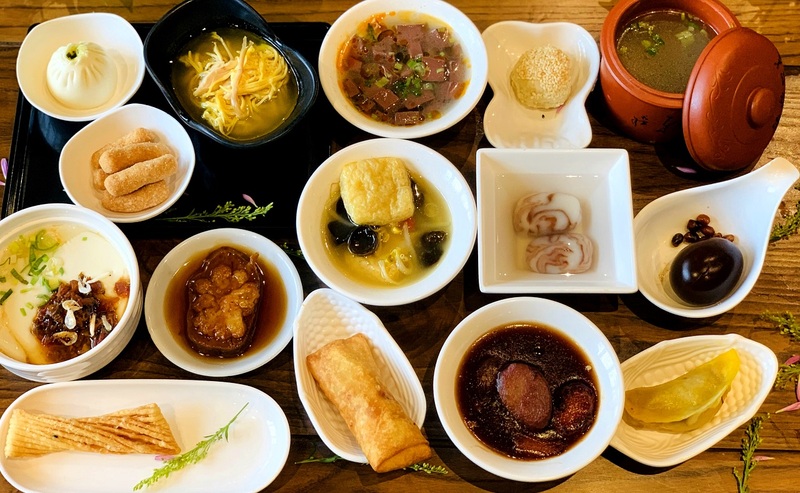 From April 3rd until the end of the month, this season of Jiangsu Super Fun will lead foodie fans to go deep into cities, seek the most original and local Jiangsu snacks to make both their hearts and stomachs contented! What’s more, there will be non-stop issue of delicious foodie small video and eating broadcast of King of Easters, the gift packs of Big face Su and the peripheral cultural creation will be sent out one by one too. Except for love, only cate can span the differences in terms of time,language and culture and achieve permanent memory, then come with Big face Su to enjoy Jiangsu snack feast of worldly air!